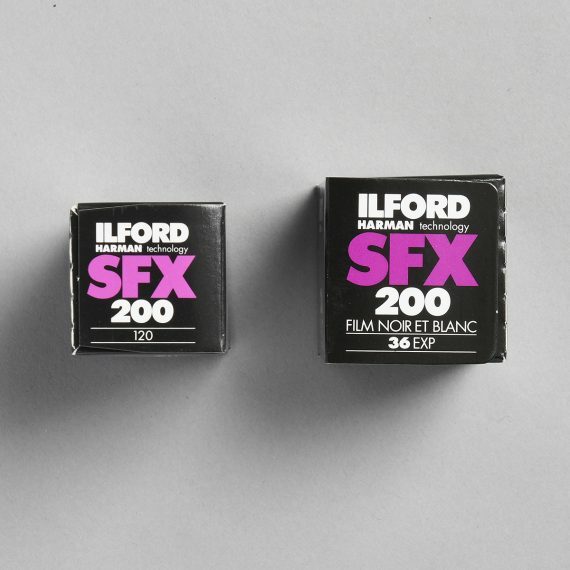 Ilford SFX 200 | Beau Photo Supplies Inc.
A medium speed black and white film for creative photography. It has extended red sensitivity and is especially suited for use with a filter to create special effects. By using a deep red filter the sky can be rendered almost black and most green vegetation almost white. Its unusual tonal rendition ensures interesting results for a range of subjects, similar to infrared film. Available in 35mm and 120 rolls.